If I die tomorrow, sing to the moon. Sometimes I feel a lot like Oscar the Oyster – grumpy with the world, but trying my best to be patient, persistent, and always pushing for change. 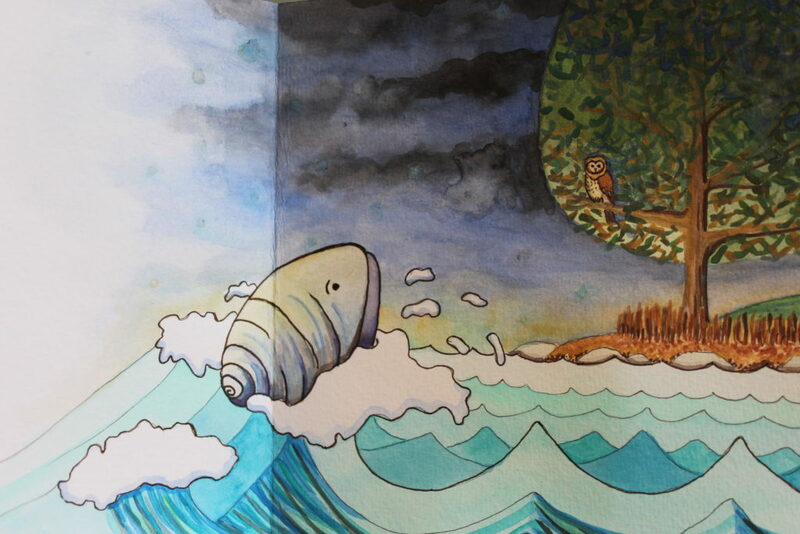 The children’s book illustration project I’m working on with Author Noah Ginter is more than half way complete. I’m so grateful for snow days brimming with calm, productive creativity! Sometimes art work from your past becomes more pertinent than ever. I feel that way about a book I published ten years ago through a publication grant from the National Museum of Women in the Arts. 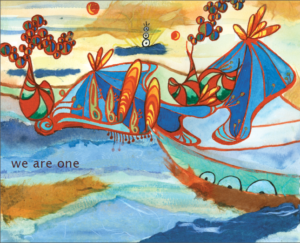 The themes of universality are poignant in Everything and Everyone: In the End We All are One. When the world seems to be collapsing in on itself, it is good to be reminded that we are all human and we stand together as such. We Are. We Go. We Question. We Connect. We Struggle. We Love. We Are One. Enjoy a full digital version of the book here. 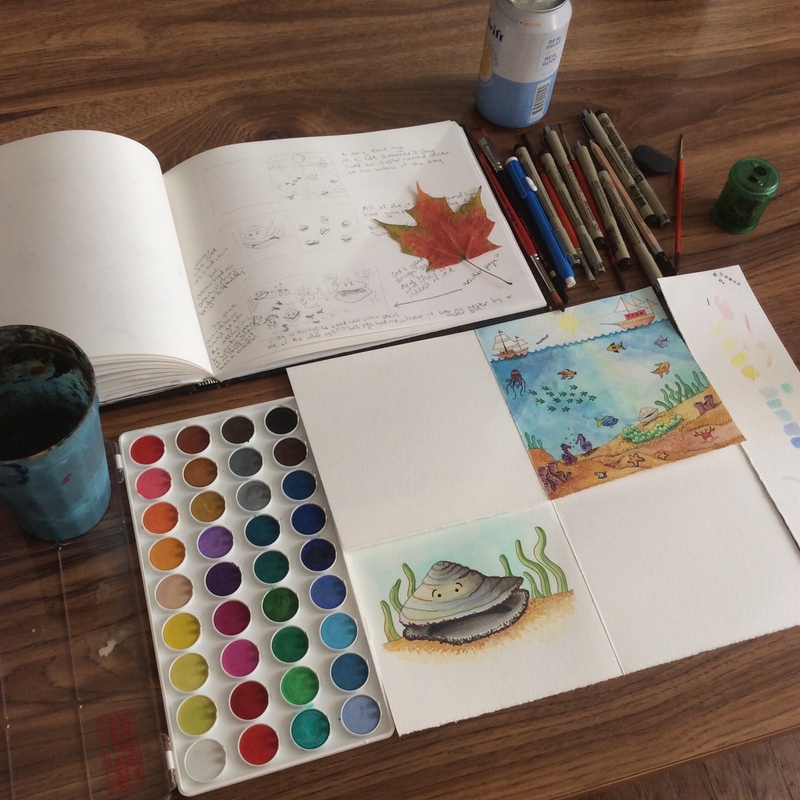 I’m collaborating with author Noah Ginter on a children’s book featuring Oscar the Oyster. Illustrating is a good change of pace for me because I’m creating many small drawings and watercolor paintings instead of working for months on one larger piece. 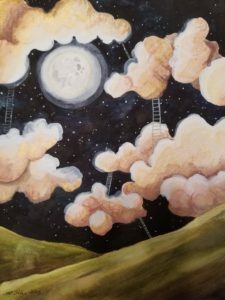 I was recently inspired by the Contemporary Children’s Book Illustration exhibit at the Brandywine River Museum, but I have always been a lover of kids’ books. I have fond memories of reading them as a child under the stairs at our local library and flipping through our playroom collection with my sister in search of the perfect book. I use children’s books extensively in my elementary Art classroom and love watching my own 4 month old daughter’s interest as I flip the pages. 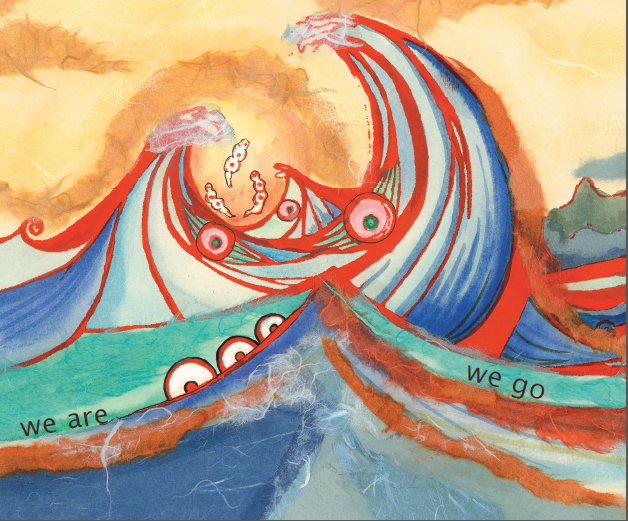 My Art work tends to take me away to new lands and on bold adventures and I’m excited at the idea of sharing it specifically with children!